This post addresses issues you may be having with contamination. I found the best way to deal with this is to increase my water usage. Be careful when tinting newer cars though or anything with electrics in the doors , if in doubt dont flush down the windows but do a dry install with extra slip in mounting solution. When flushing, I have now worked out that de-ionised water works really well, use it in a clean spray bottle, flush down with this first then give a light mist with your mounting solution on the glass and really soak your film well. 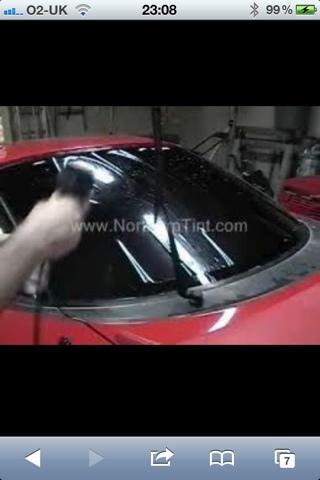 There are lots of videos online about car window tinting and you can pick up a few good tips from watching these. Stopping Contamination in your window film! Contamination.. this will ruin your job and break your heart!! One of the best things I ever did to reduce contamination in my jobs was to make the switch to buying bottled water, combine this with a regular cleaning process for your spray bottles and you should notice a marked improvement in your installations. 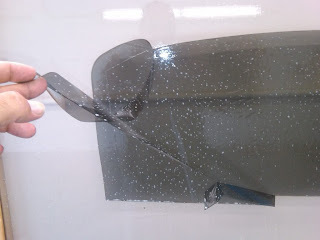 Dont be afraid to flush your windows down just before the final installation of the film, be careful on the more modern cars as they have a tonne of electronics on-board nowadays, you could be letting yourself in for a costly repair if you are not careful. Use masking tape to tape off the felt seals at the edge of the glass and also on the roof liner. I have fought the battle with contamination for many years and still do. 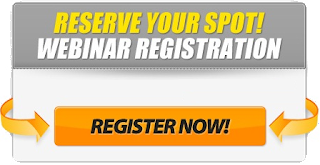 Its something that you will lay in bed at night wondering how to stop it completely. I have a few other good contamination busting tips I will share next time. 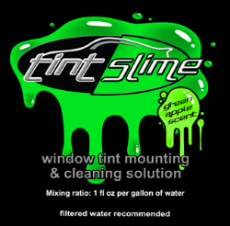 the best product for cleaning your windows prior to installing window tint is a foaming glass cleaner. this foaming glass cleaner Loosens the dirt very well on the windows. use a stainless steel razorblades to scrape the window, then flush down with water and squeegee the water away. 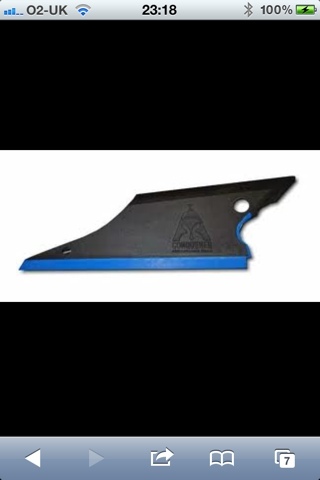 use a conqueror tool to squeegee the edges of the window in the window channel, then flush down with water. if you had any questions please post them here and I'll answer them. One of the first steps in car window tinting you must master is pattern making. I will give you a few ideas of how I make my patterns and show you how to do this without cutting with your Olfa knife directly on the car. We will start with cutting a pattern for a fixed window, this can be a static quarter glass or back window. This one little tip will potentially save you from future hassle. Once you have shrunk your pattern to the shape of the window, then we need to cut the pattern , in this example we will assume the vehicle has a dot matrix area around the edge of the window. Instead of just cutting directly on the car, use either a small piece of the plastic tape, the sort of tape they use to wrap around cardboard boxes for transporting them or use a thin button as used on a small child's piece of clothing. Slide the tape or button under the film and sit the blade of your knife onto the button/wrapping tape - then cut out your pattern. As you will be sliding the button/tape along the glass with your blade, your blade will not have contact with glass directly and will stop you potentially scratching the glass and will extend the life of your blades.